i found one digital camera is very cheap on kingsbuying.com ,have a nice looking which i like the most .just cost 69$ .seems great .who can recommend better than this model ? can you provide some more details about these camera...?? I would go with a bigger name. Just an overall better policy. Canon makes some nice lower end all-in-one cameras. If I were you I'd for for a more reputable name brand such as Canon, Nikon, Olympus, Sony etc. Stores such as BestBuy very often have cheap point and shoots on sale for around $100.00. Just as a follow up, don't limit yourself to a no-name brand cause of the price. You can find decent point and shoots for around the same price. I would definately go with this Sony over the camera you originally posted about. Just give suggest... are you already try to http://www.amazon.com ? Anyone know of any decent none branded Chinese makes? OP I was just wondering what did you end up getting? Did you stick to the one you posted? Perfect for: Traveling, video diaries, hiking/camping, weddings, parties, the beach, concerts, Aerial photos, sports events..
Just go to yard sales and look for one there. 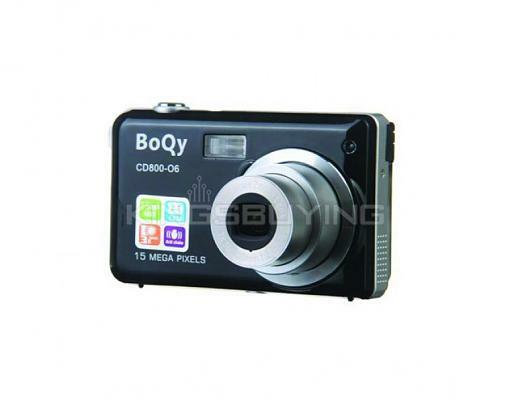 buy cheap can cost more in the end, Fleabay has name brands under $50 free shipping, search point and shoot. u will definitely find very good P&S cameras for less than $50. You can even opt for refurb or open box items.